Identical on the outside, but it's the inside that matters! Not too long after I reviewed the Dingbats notebook, I was contacted by them about an update in the paper they use. In my original review (read HERE), I was already quite pleased by the paper. It wasn't the best ever, but it could hold up to fountain pen use without excessive bleeding and feathering. Yet they insisted that the new paper meant a substantial improvement in quality, making it truly fountain pen friendly. Let's be honest, every brand says their paper is the best, and that it can handle fountain pens like a champ. So I'm always a bit skeptical when I read 'fountain pen friendly' stated in a product description. But this time it's actually true! The new paper is a huge improvement over the old paper, and it's now more than decent for fountain pen use. As you can see from the side by side comparisons, the new paper has much less issues with feathering. 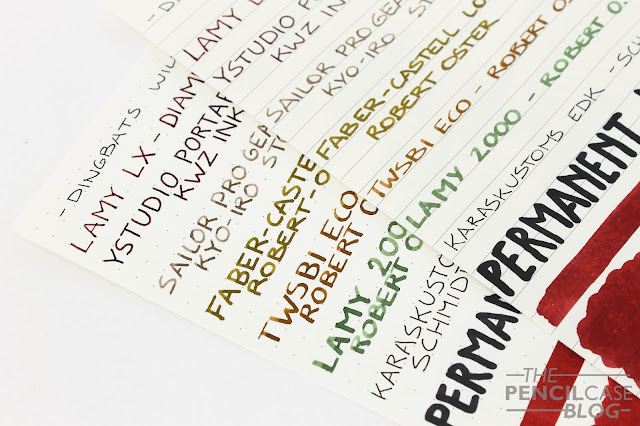 Lines and ink swabs appear more clean and crisp. The paper also shows more shading, whereas most inks looked rather flat on the old paper. Unfortunately I couldn't detect any sheen, on neither the old or the new paper. 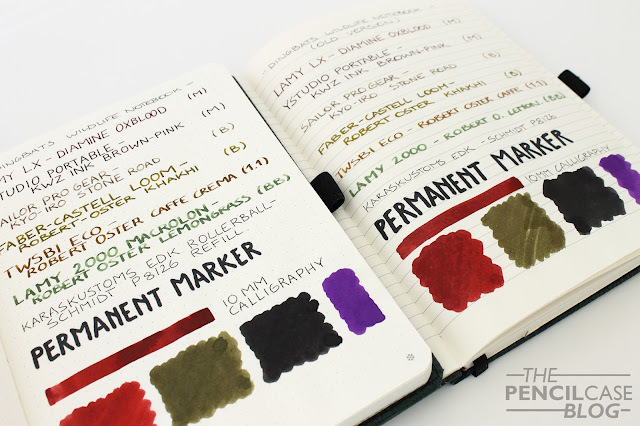 It seems to be a slightly more textured paper (as opposed to something like Rhodia paper), which isn't ideal for showing off sheen. The old paper had the habit of bleeding through the page quite badly. It would frequently bleed through one page and onto the next. The new paper still has some issues with this, but it's a huge improvement over the old paper. The back of the page shows some ghosting (although minimal), and occasional minor bleedthrough. I don't normally tend to use both sides of a page anyway, so I'm not bothered by this. 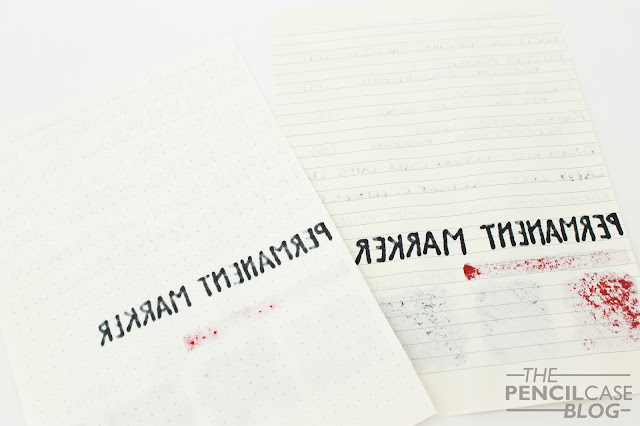 Apart from the paper, the notebook itself has remained the same. So if you want more information about it, go check out my original review (HERE). The notebooks did become a bit thicker. I think that's partially due to having slightly more pages (96 sheets vs 92 sheets in the old one), and the use of different paper. The new paper feels thicker (it feels like actual100 gsm paper should), which makes me wonder if the old paper was perhaps lighter (and not 100 gsm as advertised). 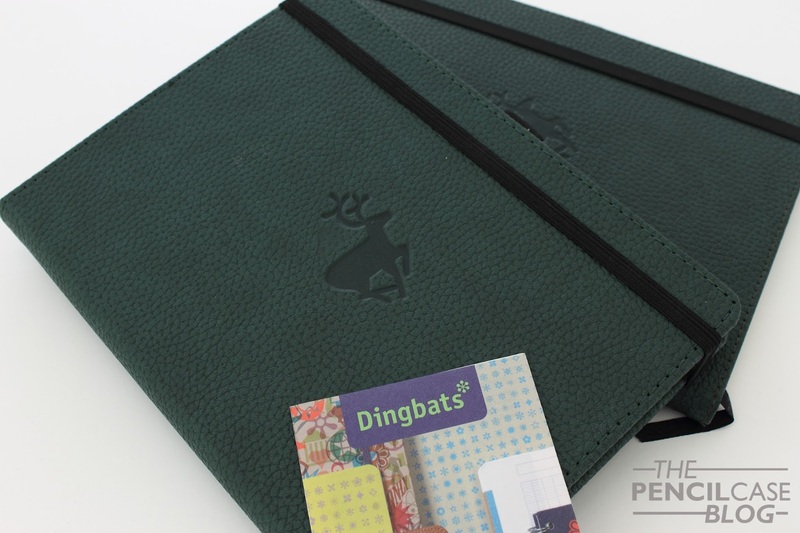 The Dingbats Wildlife A5 notebooks cost a very reasonable 14.95 GBP, which is about the same as an A5 Leuchtturm notebook (depending on exchange rates). They can be bought directly from their website. With the updated paper, these have become even more interesting! Note: This product was sent to me by Dingbats free of charge, so I could write this review. I was in no way influenced in the making of this review, the opinions shared in this review are completely my own! This post does not contain affilate links. 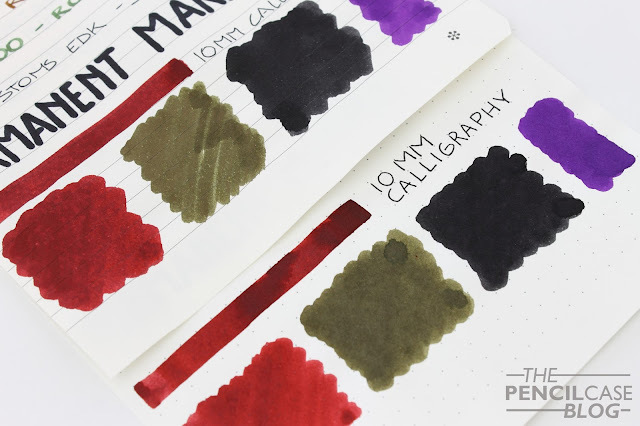 did you test the new paper with pencils too? Does it still work well for pencils? Pencil still works quite well on the new paper. It has enough texture to leave properly legible marks. 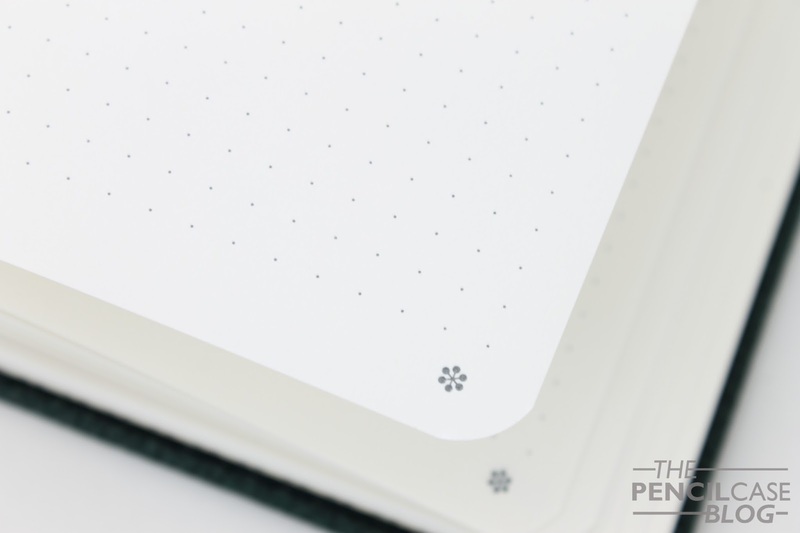 In my opinion it's slightly better than Rhodia in terms of pencil use (I personally think Rhodia paper is about the smoothest paper that still works well with pencil, but that's a matter of personal taste).